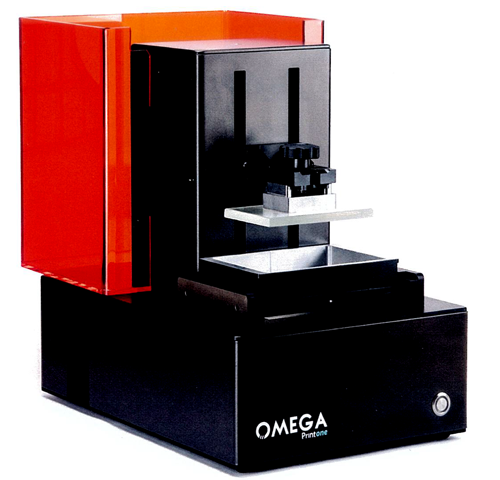 OMEGA Printone is a DLP (Digital Light Processing) printer, composed from a LED projector with a glass optical unit, a projection mirror and a mechanical Z axis organ with tiny recirculation of spheres.The bowl is filled with liquid resin with the photo-initiator principle with rayless light with a wavelength equal to projector LED light’s. The bowl is equipped with a non-stick material which eases the detachment from the base during lifting after each printed level. The workspace comes in two different materials for the different kind of polymers.